I know you are aware of Table Of Contents, Don’t you? When you were in the school and whenever you opened any book to read on the first page you could see an Index page, this is the Table Of Contents. 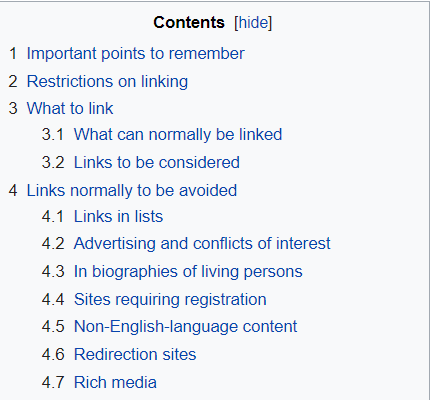 Table of contents is just like Index that shows you what a webpage contains, or it helps your reader to go to the section which they like to read. Table of Contents divide your full post into various section according to the headings and add a hyperlink list so whenever a reader clicks on a link they can directly jump to the section. In more simple words, You can say Table of contents help readers to jump to any specific section which they want to read. Users Experience is matters a lot, this is the simple tricks for you to give a good user experience to your users and engage them to your blog more effectively. Today, I come with a guide to teach you how you can add Table Of Contents in your WordPress blog. First, Login your WordPress admin panel. and go to Plugin>Add New to download a plugin called Table of Contents Plus. Click on the Install button to install the plugin and after successful installation click on the Activate button to make it live. Plugin starts working, Now go to Settings>TOC+ to customize your Table Of Contents of your WordPress blog. Position: Here you need to choose where you want to show your Table of Contents, there are four options 1. Before first heading 2. after the settings 3. Top and 4. Bottom. Show When: This is for when you want to show Table of Contents in posts, choose how many heading a post should have to show the table of contents. Check the box to show the title on top of the table of contents and write what you want to show on the top of the TOC. Check the second box if you want to allow users to show and hide TOC. You can also check the third box if you want to initially hide your TOC. Check on the Show Hierarchy, Number list items and the most important Enable Smooth scroll effect because it will give an effect to your TOC while hiding and showing. Let’s move to the Appearance settings, Here you can select Width and Wrapping and the Font size of your TOC. I recommend you to leave them default otherwise it is your choice. Presentation: These are the prebuild themes available for your TOC. I recommend you to leave it as default or if you want to know about these settings then go ahead and make changes. Heading Levels: Open Advance settings and make sure all the heading are checked if not then check them, it will help to create sections in your TOC based on these headings. I hope you now understood this well. Adding a TOC can give a good user experience by allowing them to navigate a blog post. If you liked this post and found it helpful then don’t forget to share it with your friends, maybe it helps them too. Don’t forget to share your queries in the comments section. Hey Ravi, I was thinking about it. 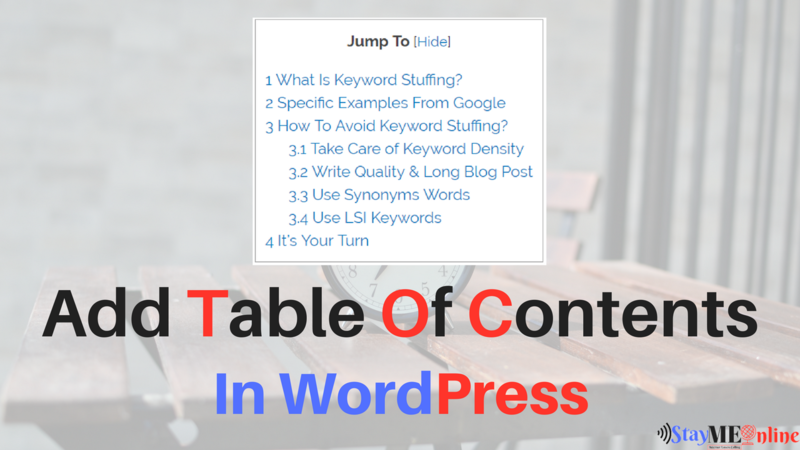 I like your table of content is keyword stuffing post. I also want to know that how have you done this. Today you have shared the post, thanks alot. You are doing good work. Thanks, Suleman, Good to know that the post helped you.